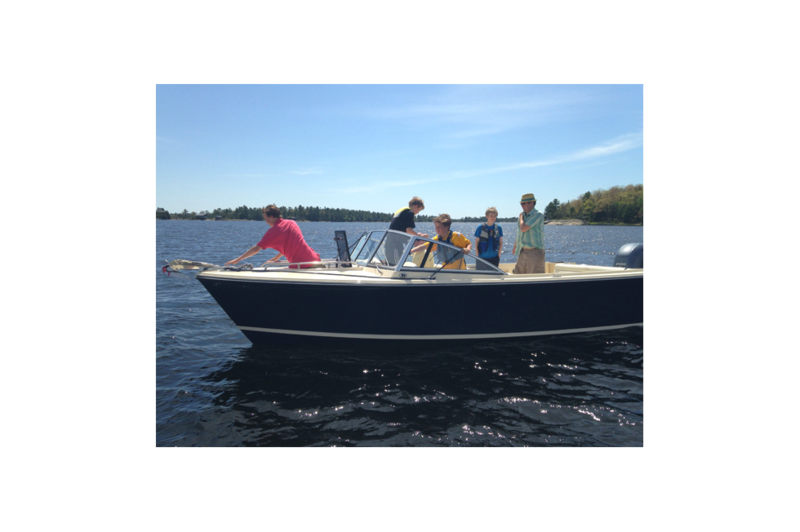 As we celebrate over 40 years of designing and building boats for customers who demand big-water performance, efficiency and attention to detail in small craft, we are pleased to announce our newest member of the Rossiter family, the R23 classic day boat. 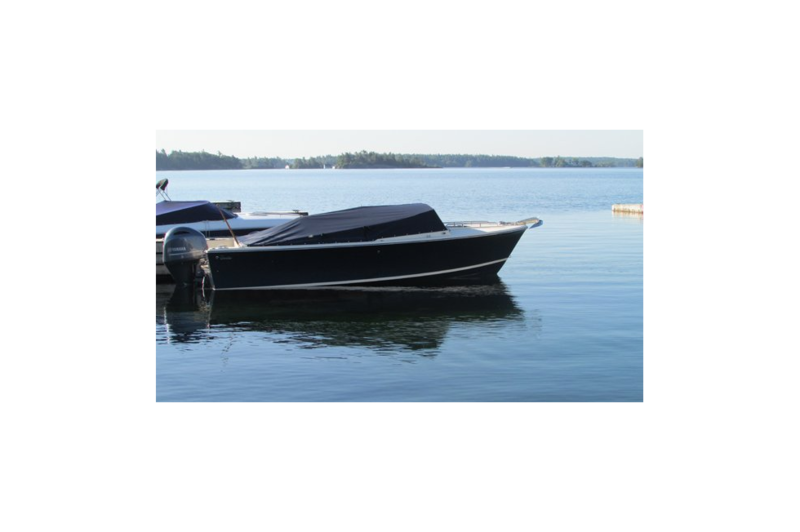 After listening to boaters from the Great Lakes to our oceans it became clear to us that you were looking, not for another fishing boat or cruiser, but rather a classic “day boat”. 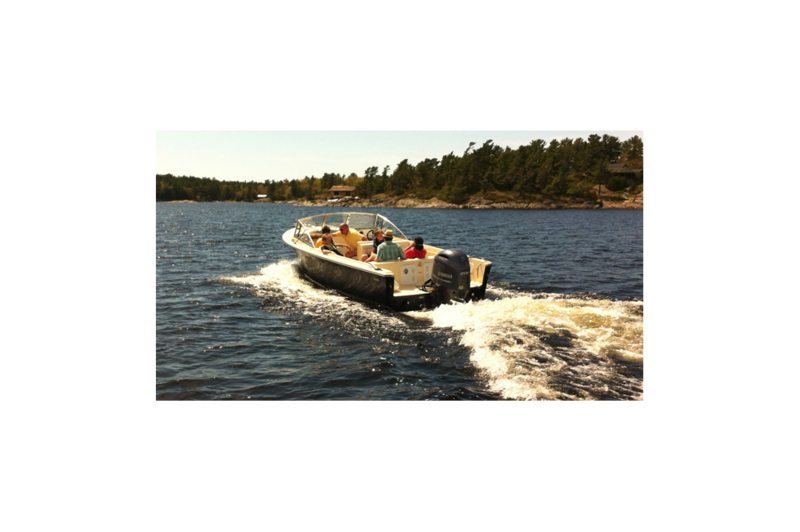 A boat in which family and friends can get out on the water with confidence whether for a leisurely cruise, island hopping, picnicking, watersports, cottage hauling or a little fishing and story-telling with grandpa. 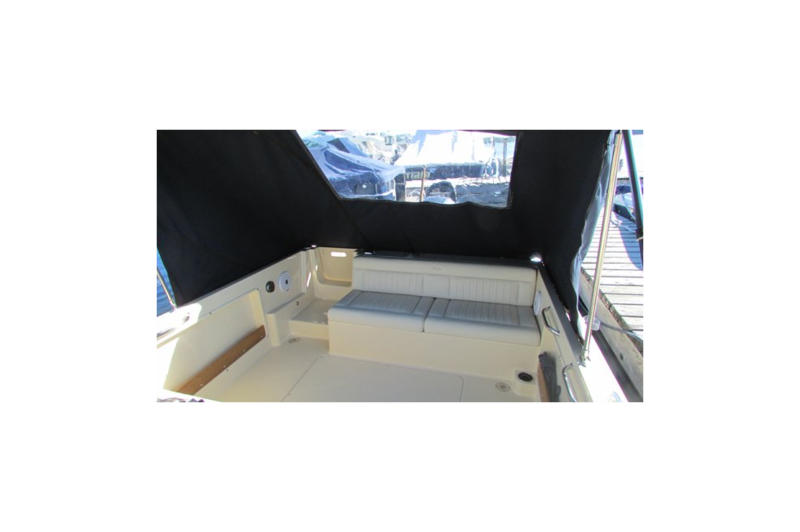 So with that in mind, the Rossiter design team brought the R23 to life, delivering a sleek set of lines with comfortable seating for up to 10 passengers behind the windshield, and a spacious cockpit with lots of seating under canvas for those seeking a little shade or for when the weather turns. 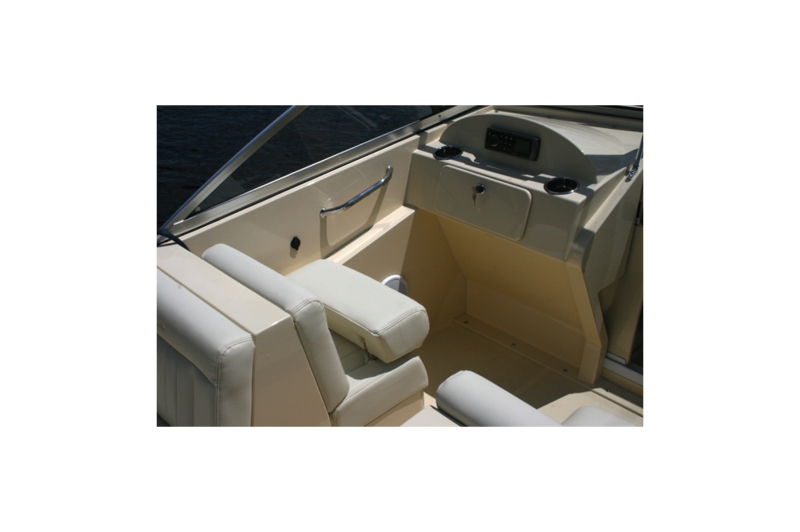 The helm seat also adjusts fore and aft with a bolster that flips up allowing plenty of room to stand and drive for when you want the wind in your hair. 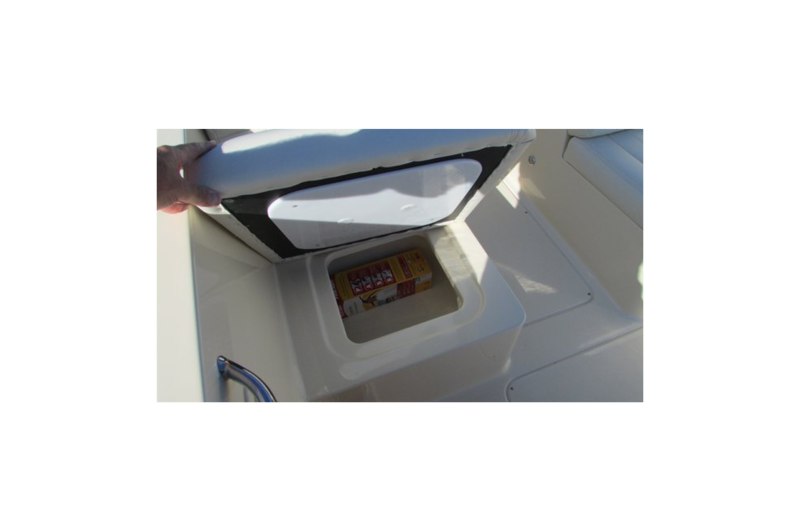 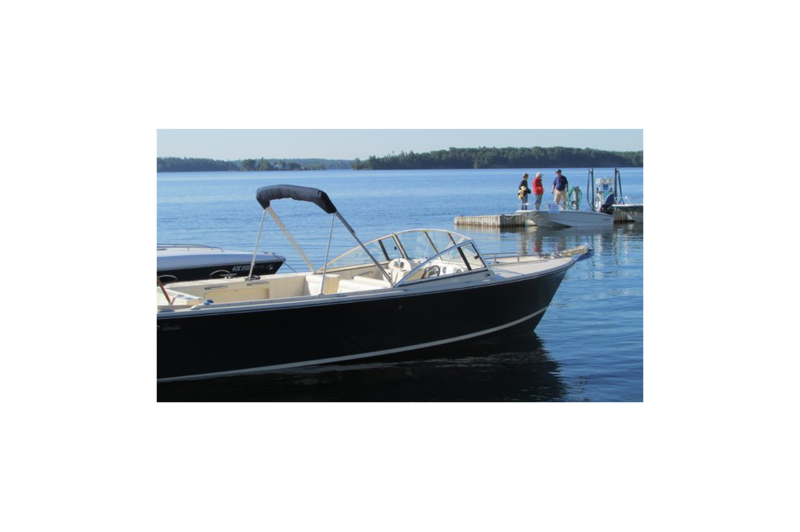 And like a thoroughbred, even when loaded, a Rossiter 23 will jump out of the water with little to no bow rise, so when the seas get choppy she will get you home safely and quickly without draining the tank. 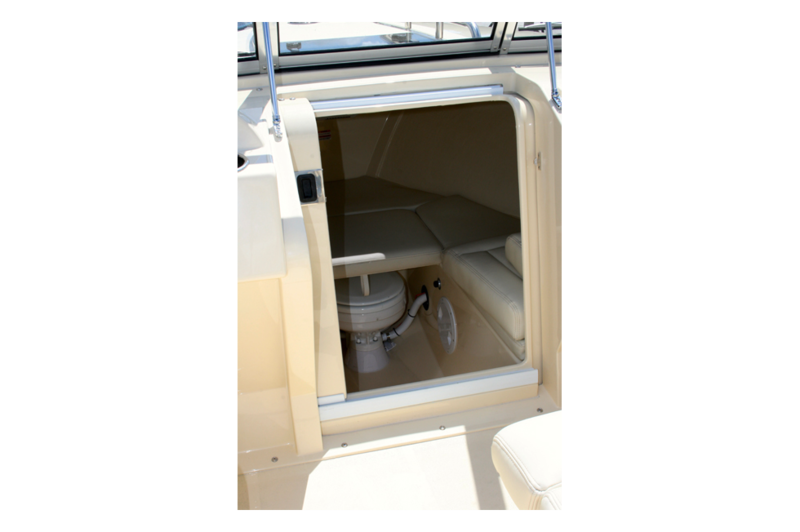 Below deck you’ll also find more space for gear along with a head that doesn’t require you to get into a yoga position when nature calls. 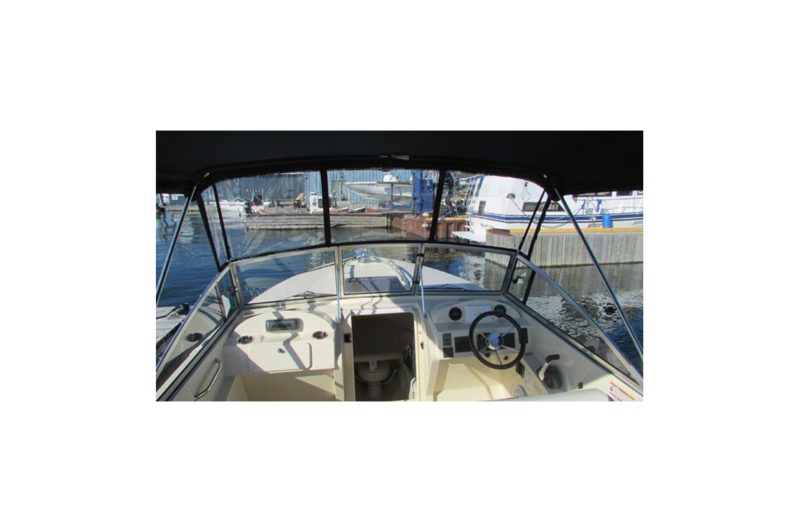 Of course, if watersports are on the agenda, rest assured, she has been engineered to handle 150-250 horses offering great range and a nice top end when you need it and easy access in and out of the water. 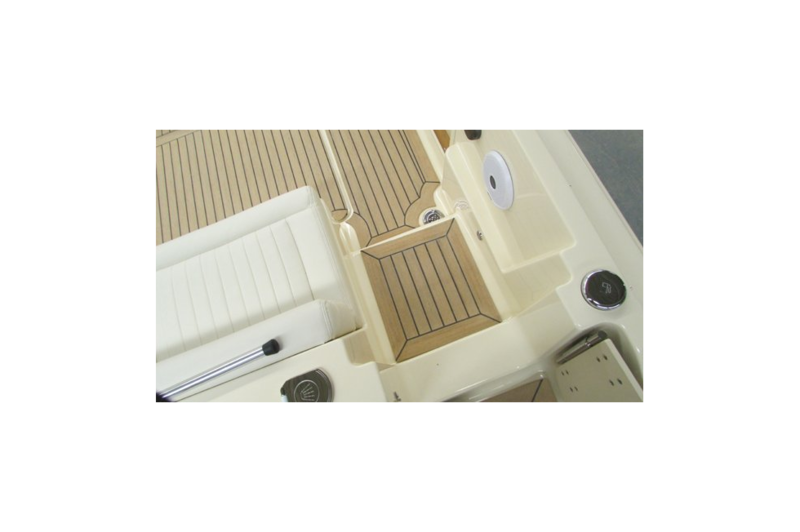 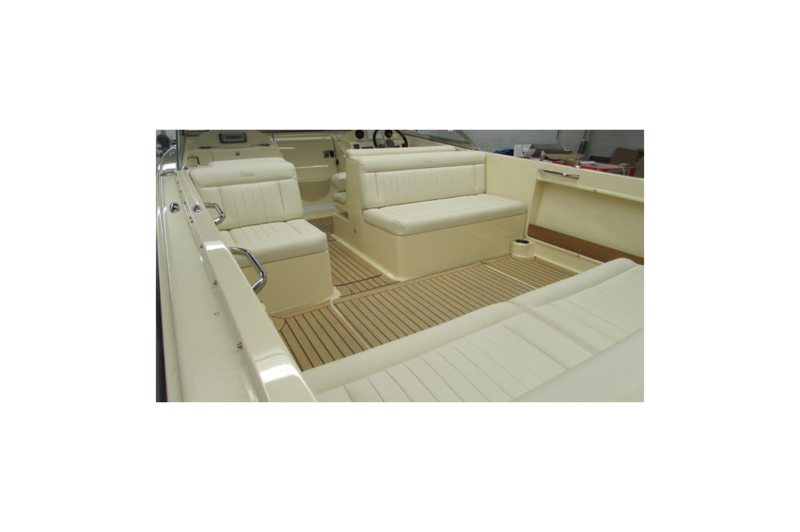 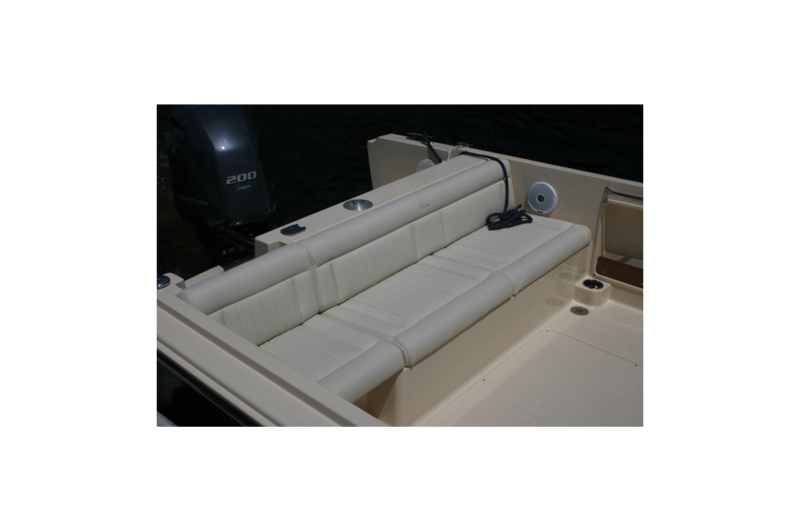 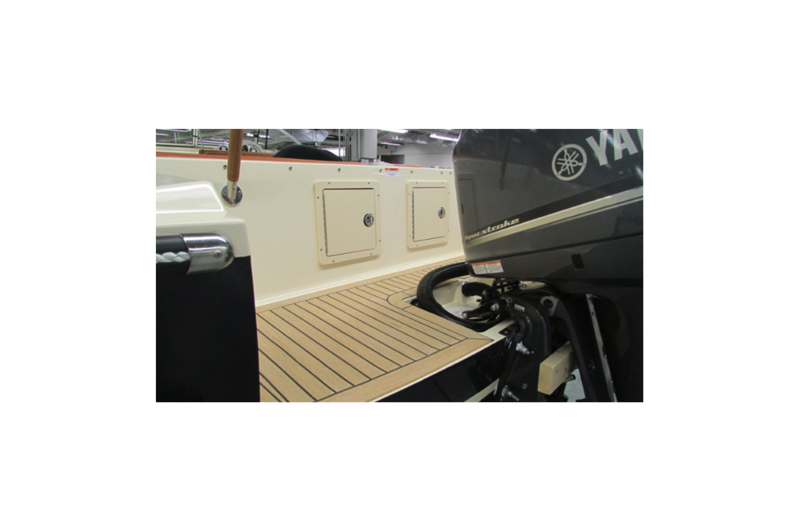 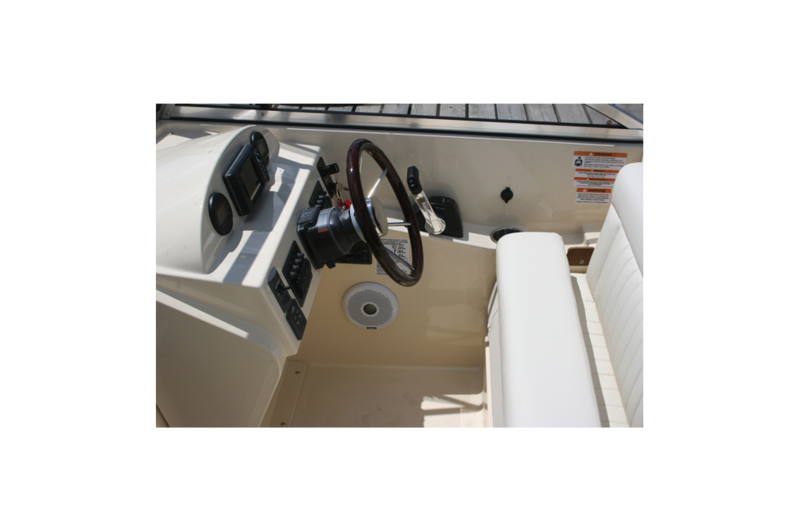 And, as with all Rossiters, the R23 is built to the highest of standards, fit and finish, is self-bailing and unsinkable, offering boating memories for generations to come, and backed by a Limited Lifetime Warranty. 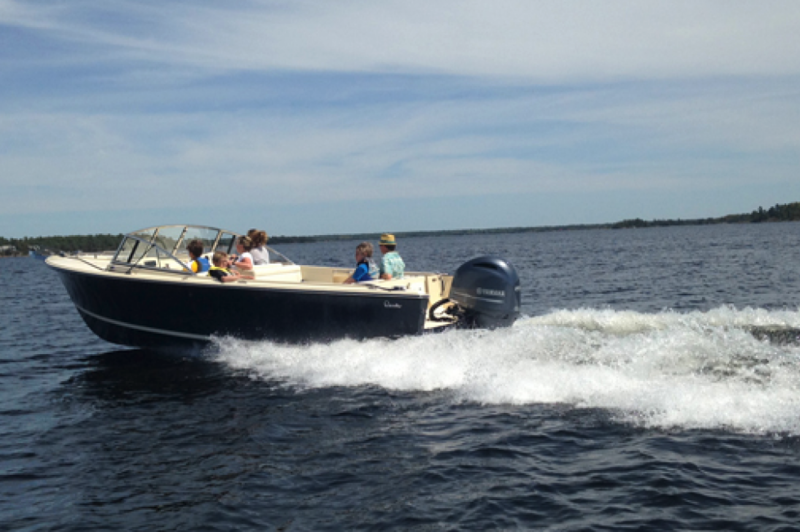 After all, it isn’t just any powerboat, it’s a Rossiter.